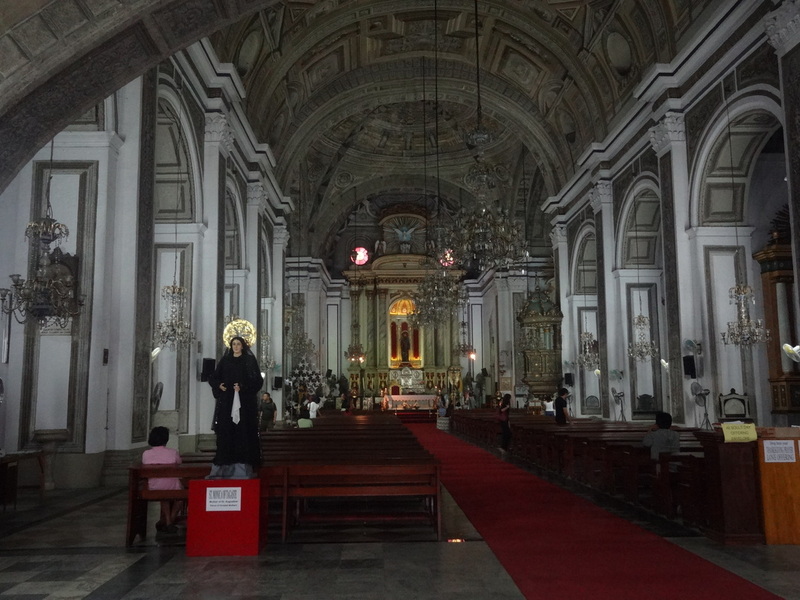 It is impossible to adequately capture the incredible experience of Manila, Philippines, however, below are some highlights of the experience. 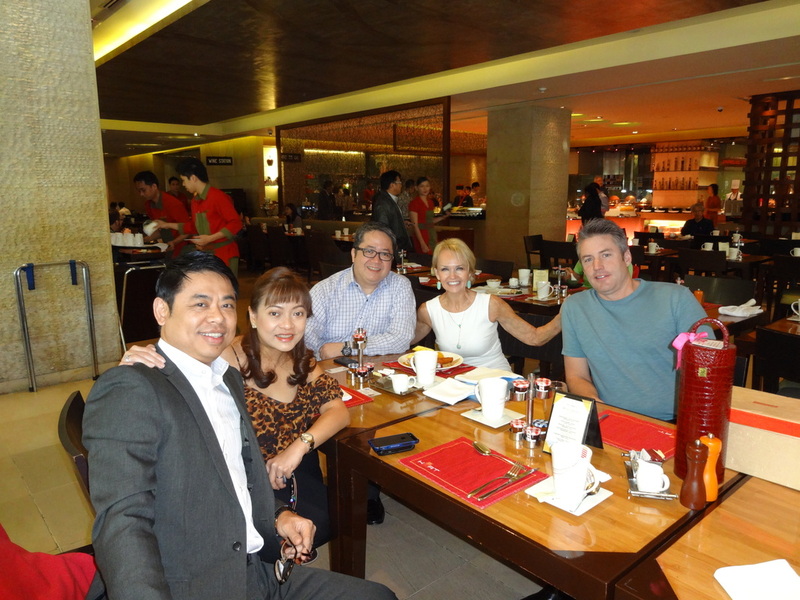 The day started with a breakfast with the generous hosts, Ms Pinky Tobiano and Mr. Juan Carlos Robles. Pinky's friend, Dr. Francis Xavier Dimalanta, also joined the group for breakfast. The first stop was at the government operated hospital, East Avenue Medical Center. The hospital has 600 beds and serves nearly 1,000 patients. Dr. Bong Bueno provided the group with an extensive tour of the entire hospital including the Burn Unit, Emergency Room, Intensive Care Unit, Operating Rooms, and Pre and Post Opp. Erik Santos, also known as the "King of Pop," joined the tour as a special surprise from Pinky. The second stop on the tour was to the Green Acres Home for the Elderly, an organization that Pinky has supported for many years. The below photos display the group handing out cookies, crackers and smiles to the residents. The third stop was one which would forever touch the hearts of those involved. Sarah and Joe visited a home for babies who had been abandoned. 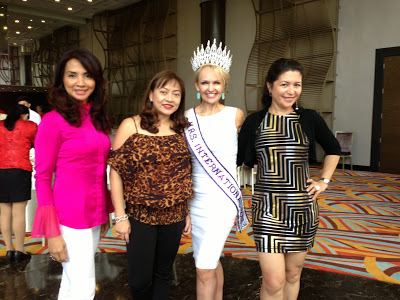 Mrs. Philippines International 2012, Liza Schneider, joined the group for lunch. It was truly wonderful to reunite with Liza and time was well spent catching up and reflecting upon memories. 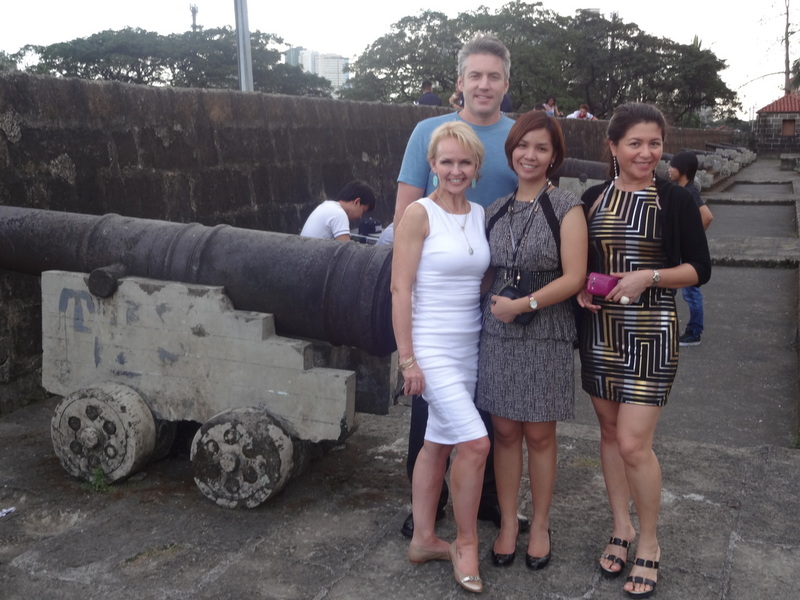 Following lunch, Sarah and Joe were given a guided tour of Manila and learned much about the history of the great city. 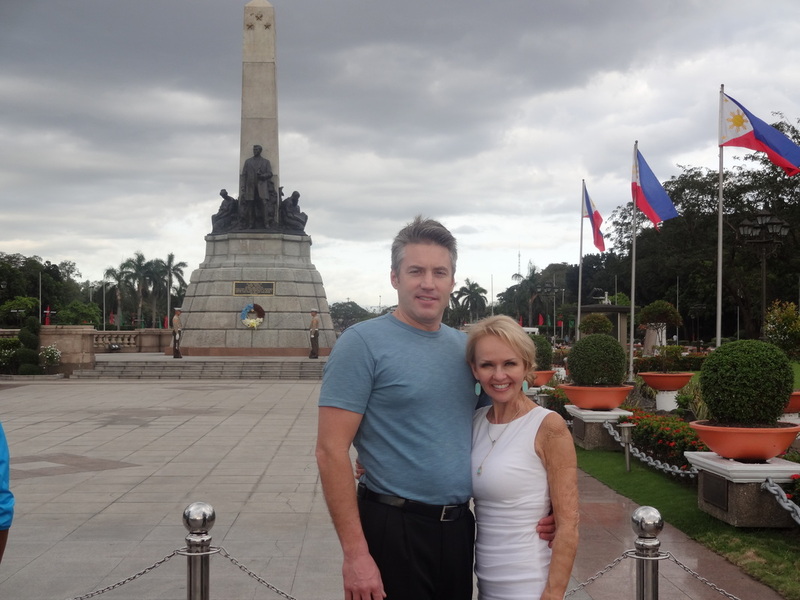 Sarah and Joe visited the WWII Memorial, Makati City, the "Walled City", walked inside the church and museum of San Agustin, and Manila Bay. 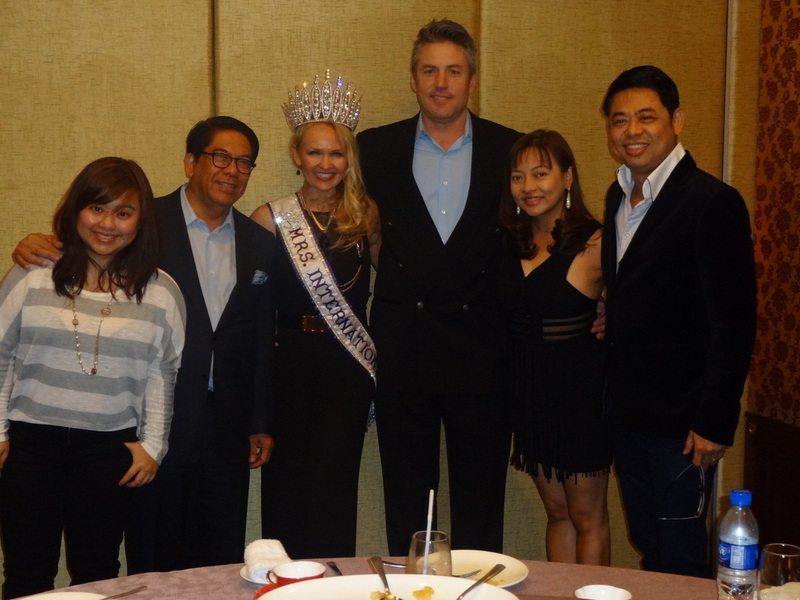 Dinner that evening was hosted my an accomplished HBS classmate of Sarah, Mr. Joey Antonio. Pinky, Juancho, and Pianne also partook in the lovely dinner. Pianne is one of Sarah's favorite artists, and also is the daughter of Ms. Pinky.